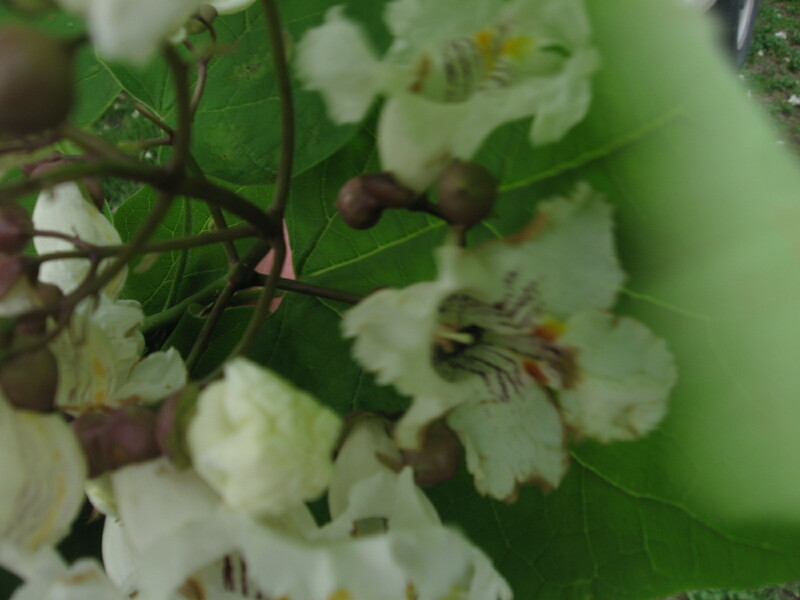 Like clusters of tiny pale orchids the catalpa trees bloom gloriously every May. 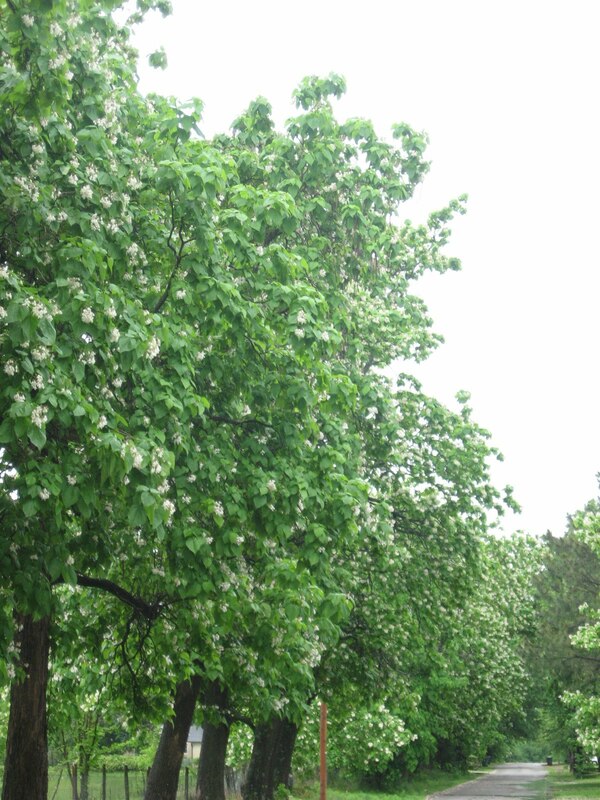 These trees can be spotted from a distance like tall ladies in pale green ball gowns embellished with white pearls. of models in a bridal fashion show. Except each dress is alike! 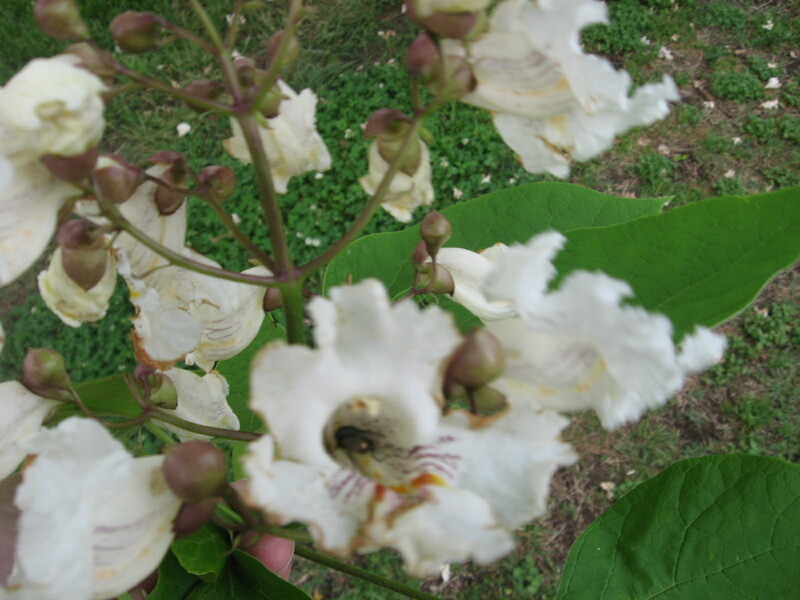 The blossoms are lacy and soft, shaped like orchids, each with a patches of dark rust red dots in lines, and spangled with a curl of golden pollen. The flowers pop a few at a time from their round red buds. 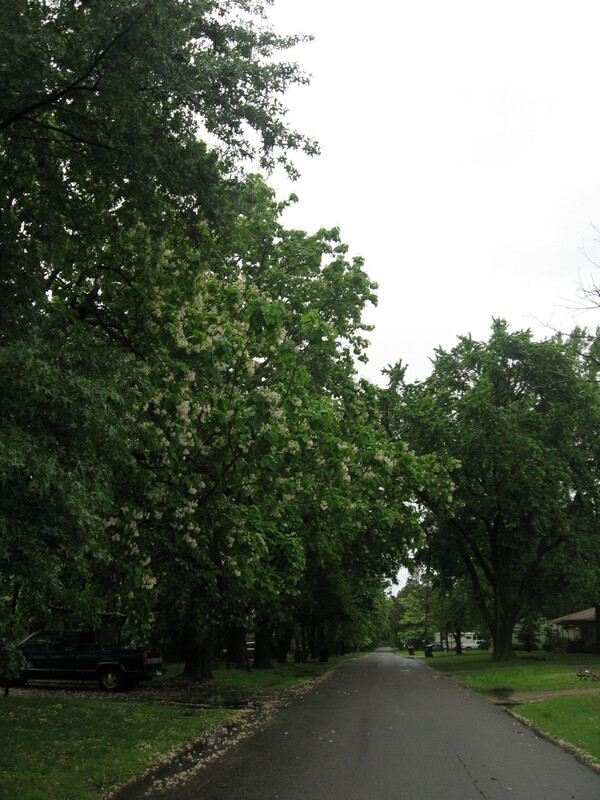 After a spring shower or a windy day the blooms cover the ground under the trees like a knobby white rag rug. 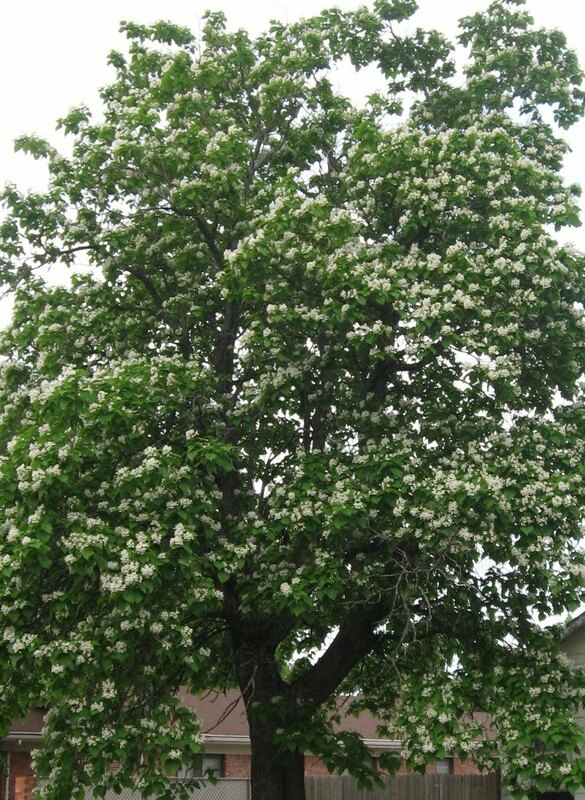 Later, the tree’s exceptional leaves, the size of offering plates, provide full and welcome shade from Oklahoma summer’s heat. All summer, green bean pods grow and fill out with seeds until they are one and a half to two feet long. A colorful caterpillar feasts on the trees fuzzy broad leaves. These are great for fishing I have heard.